A world war of never before seen intensity, if the system of mutual outbidding in armament, carried to the extreme, finally bears its natural fruits. . . eight to ten million soldiers will slaughter each other and strip Europe bare as no swarm of locusts has ever done before. The devastations of the Thirty Years War condensed into three or four years and spread all over the continent: famine, epidemics, general barbarization of armies and masses, provoked by sheer desperation; utter chaos in our trade, industry and commerce, ending in general bankruptcy; collapse of the old states and their traditional wisdom in such a way that the crowns will roll in the gutter by the dozens and there will be nobody to pick them up; absolute impossibility to foresee how all this will end and who will be victors in that struggle; only one result was absolutely certain: general exhaustion and the creation of circumstances for the final victory of the working class. 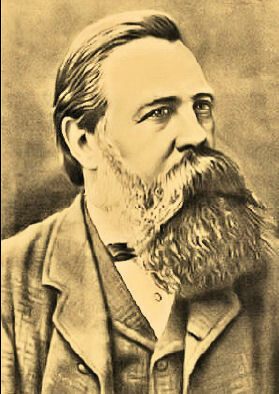 Engels was completely right on the “total war” aspect. Indeed, by 1918 there was famine, a severe epidemic, the Spanish Influenza, and within a year the leadership of Russia, Germany, Austria-Hungary, and Turkey were all deposed. The working class got their “final victory” only in Russia, though they came close in Hungary, Slovakia, and Bavaria. 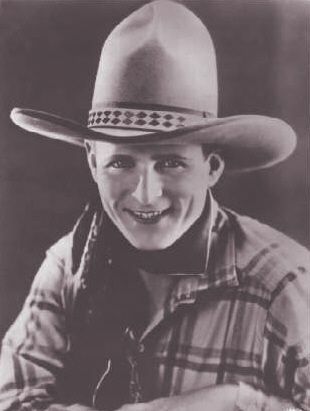 Silent film star Fred Thomson (1890–1928) was a veteran of the AEF's 143rd Field Artillery Regiment. 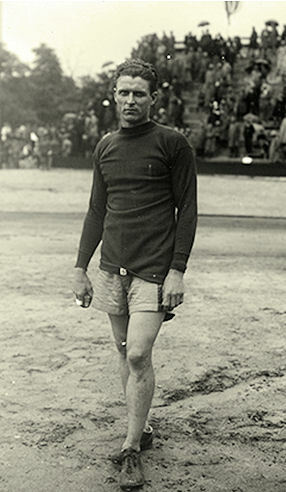 He got "over there" too late to see combat, but he almost stole the show at the 1919 Inter-Allied Games, when he won the hand grenade throwing competition with a phenomenal 245 foot 11 inch heave. His growing screen career, alas, was ended prematurely on Christmas Day 1928, when he died from tetanus after stepping on a nail. Interestingly, he was the chaplain of his regiment. 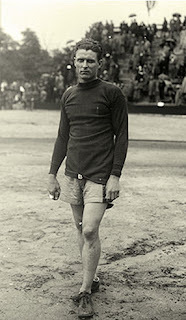 The son of a minister from Pasadena, California, Thomson attended the Princeton Theological Seminary, where he also showed himself to be an outstanding all-around athlete. He was ordained as a Presbyterian minister in 1913 the same year he married his college sweetheart, Gail Jepson. Sadly, she died of tuberculosis three years later. When America joined the war, Thomson volunteered to serve as a chaplain. While in training he broke his leg playing football. Movie star Mary Pickford visited the patients in the military hospital with her friend, screenwriter Frances Marion. Thomson and Marion soon agreed to marry after the war was over and did so in November 1919. 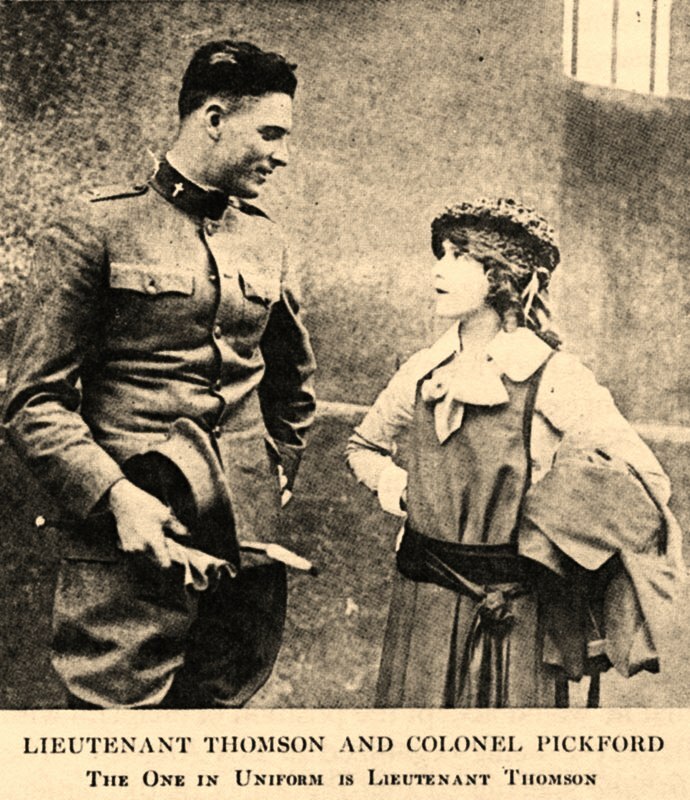 Mary Pickford was the bridesmaid and invited Thomson to appear in one of her films. 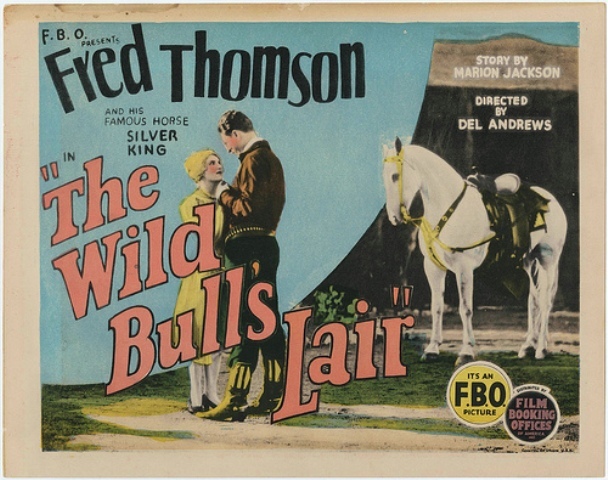 The handsome and athletic Thomson had an inside track to movie stardom and seized it. He appeared in 30 films before his unlucky accident. The direct transfusing of human blood between donor and recipient began in the 19th century and by the 1890s had been performed frequently, although with mixed results, largely due to ignorance of blood typing. After the onset of the Great War there were huge numbers of wounded requiring blood, and direct transfusion was hopelessly inadequate to meet the crisis. 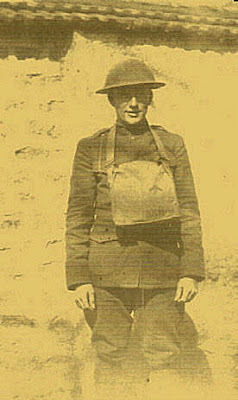 A Canadian Army doctor, Lawrence B. Robertson, developed a technique whereby he transfused blood by using a syringe, which caught the attention of the Royal Army Medical Corps hierarchy, but it was clear that a much larger-scale method was vitally needed, preferably a method by which donated blood could be stockpiled and administered when required, much like medicines. The blood bank story began in 1914 when Dr. Albert Hustin, a Belgian, discovered that sodium citrate added to transfusing blood inhibited clotting. A year later, Dr. Richard Lewisohn, a German-born surgeon at New York’s Mt. Sinai Hospital, determined the optimal concentration. This breakthrough meant that many more direct transfusions could be carried out successfully and without physician supervision. Although the blood cells would still deteriorate if the blood was not used soon after being drawn, this technique still saved many thousands of wounded soldiers in the Great War. Step two in the story was the discovery by Dr. Richard Weil that blood treated with anti-coagulant would last for a time if refrigerated, and the concept of blood banks became possible, if not yet practical. Enter now Francis Peyton Rous (1879–1970). 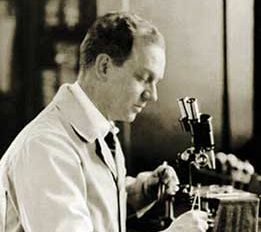 He was a pathologist educated at Johns Hopkins (BA 1900, MD 1905) who was lured away from the University of Michigan by the Rockefeller Institute in 1909, where he remained for the rest of his long career, during which he received several awards and honorary degrees, among them the 1966 Nobel Prize for Physiology or Medicine (shared with Charles B. Huggins), the National Medal of Science (1965), and the Lasker Award (1958). 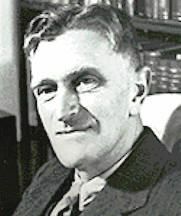 Peyton Rous was a member of the National Academy of Sciences, a Foreign Member of the Royal Society, and an editor of the Journal of Experimental Medicine from 1922 to 1970. In 1911 he found that a sarcoma growing on a chicken could be transmitted to another healthy chicken by a virus (the Rous sarcoma virus, a retrovirus). His findings were disputed by the experts of that time, especially since he was a young and unknown researcher, and it was a long time before anyone tried to follow up on his work. For this discovery, however, as well as his subsequent work in virology, Peyton Rous was eventually awarded his Nobel. The gap of 55 years between his original published results and his award is the longest in the history of the prize in this field. 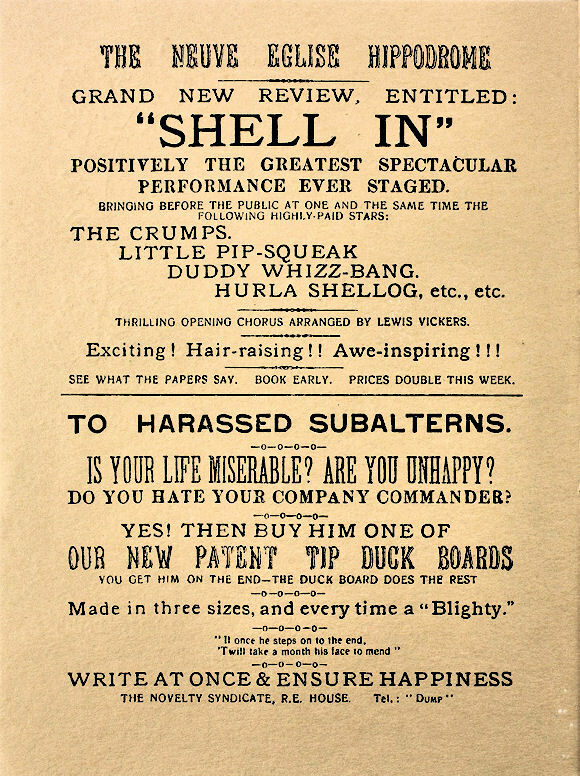 His story is a classic case of an idea ridiculed in its time only to be upheld by later discoveries. Ironically, Peyton Rous’ son-in-law, Dr. Alan L. Hodgkin, a neurological researcher at Cambridge, had shared the Nobel three years earlier. Peyton Rous made another, unrelated contribution to medicine that in a practical way eclipsed his work in virology: during the Great War he played a crucial role in the development of blood banks. Step three in the blood bank story occurred in 1915 when Peyton Rous and an assistant, Dr. James R. Turner, sought a more practical way to store whole blood without damaging the red cells. Experimenting with blood from rabbits, dogs, and sheep, as well as humans, they tested various solutions that would both anti-coagulate the blood and preserve the red blood cells. They arrived at a promising formula: a standard physiological salt solution called Locke's solution, with the addition of Hustin and Lewisohn’s sodium citrate anti-coagulant, plus dextrose as a source of energy for the red cells, a concoction akin to unsolidified Jell-O™. Animal trials at transfusing the preserved blood cells proved successful. This meant that donations of blood could be collected well in advance of the need for transfusions, and blood banks became feasible. Step four: in 1917 Peyton Rous's young protégé at Rockefeller, Capt. 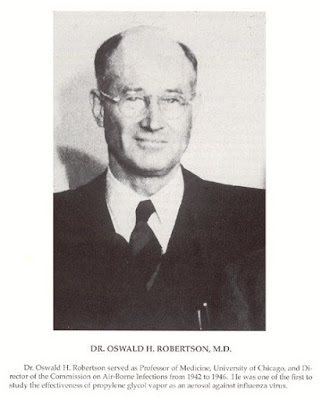 Oswald H. (“Robby’) Robertson DSO, MC (1886–1966), not related to Lawrence Robertson, joined the U.S. Army Medical Corps’ Harvard Unit, which staffed Base Hospital No. 5 at Boulogne. Peyton Rous convinced him to try transfusing Rous-Turner preserved blood in the battlefield setting. Finding blood donors among camp personnel, he performed many life-saving transfusions. His ice chest stocked with flasks of blood is credited as the world's first blood bank, as well as the first mobile one, and other doctors equipped themselves with Robertson’s gear. 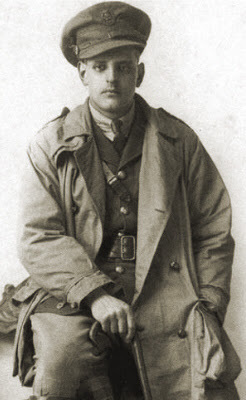 Step five, also in 1917: Lt. Geoffrey L. Keynes (1887–1982), a Royal Army Medical Corps surgeon, the brother of famed economist John Maynard Keynes and the literary executor for his schoolboy pal the war poet Rupert Brooke, developed a glass drip chamber that stored blood and enabled more precise control of the infusion rate and better checking for emboli. This meant that transfusions could happen closer to a battlefield. However, Oswald Robertson’s blood bank was a boutique operation—his chest held only about 12 units of blood. Step six was the establishment of the first depot-sized blood bank by the British, preparatory to the Battle of Cambrai in late 1917, using exclusively blood type O. Although civilian hospitals have always favored refrigeration, the Rous-Turner solution again came into widespread military use during WWII. 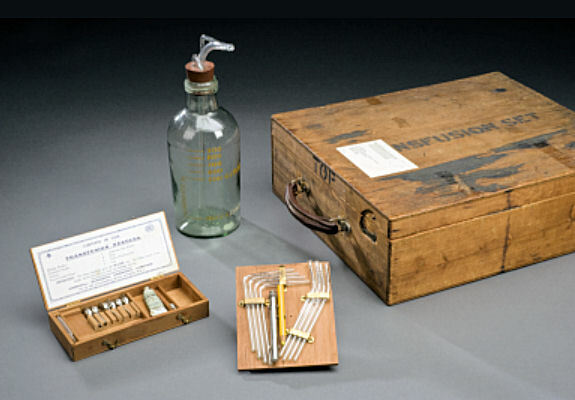 Blood banks were an important medical advancement of the Great War era: the ability to collect blood in advance of need, transport the blood where it was needed, and deliver the blood quickly and easily enabled many thousands of wounded to survive until they could get treatment at a field hospital. Major Leslie Fraser Standish Hore, in civilian life a solicitor from Hobart, Tasmania, served with the 8th Australian Light Horse at Gallipoli. Arriving with a wave a reinforcements after the initial landings, he proved to be an effective combat leader and a talented war artist. 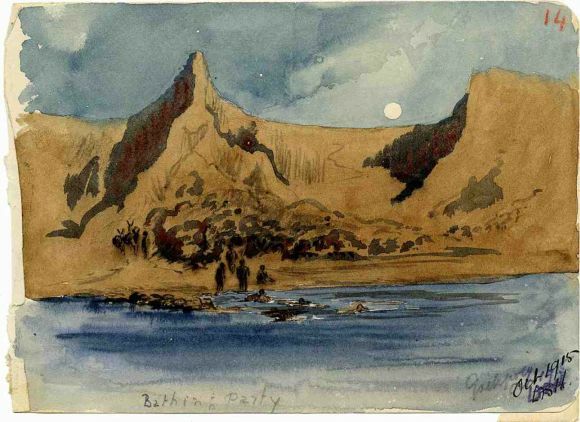 Hore’s drawings reveal a personal view of Gallipoli through the eyes of a man sensitive to the beauty and drama off his surroundings and the tragedy of war. The German March Offensive of 1918, Operation MICHAEL, was a tactical success, but a strategic failure. They had failed to knock the British Army out of the war, and they had failed to take the critical rail junction at Amiens. By 18 April, it was clear that the Germans would attempt to push on to Amiens again—which just a few weeks earlier the Australians had fought so hard to defend. Villers Bretonneux's defense had been given over to British troops while the Australian divisions regrouped. The enemy attack was spearheaded by tanks, which pushed through the British defenses. On 24 April, British troops were defending Villers-Bretonneux. The Germans attacked at dawn, and with the aid of 13 tanks, which they were using for the first time, they captured the town. Orders for the immediate recapture of Villers-Bretonneux were met with a plan to launch an attack by two Australian brigades, the 13th and the 15th. The unconventional night attack began at 10 p.m. on the 24th. 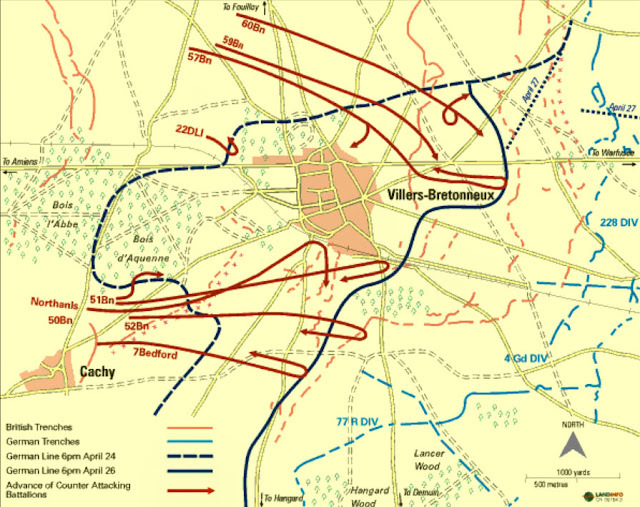 One brigade approached from the north and one from the south, meeting at the village's eastern edge, thereby surrounding the Germans and driving them from Villers-Bretonneux and the adjacent woods. 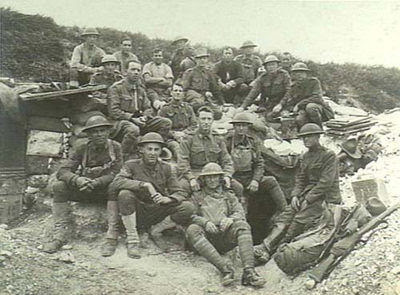 The Australian brigades attempted to join forces to the east of the town. They were unable to join up in the dark, and many Germans managed to escape. After dawn, the gap was gradually closed, and Australians entered the town from the east and British from the north and west. Villers-Bretonneux was cleared of enemy troops on 25 April 1918, the third anniversary of the Anzac landing at Gallipoli. This action marked the effective end of the German offensive that had commenced so successfully more than a month earlier.This battle was unique in that it was the first involving tank-against-tank fighting, demonstrating the significance that tanks had increasingly come to assume in 1918. Because their critical and well-recognized double defense of Amiens, the area has a strong resonance for Australians. The nation's national war memorial is just north of Villers-Bretonneux and is where France and Australia hold the main annual commemoration of Anzac Day. Australia's Unknown Soldier was selected from the nearby Adelaide Commonwealth Cemetery. 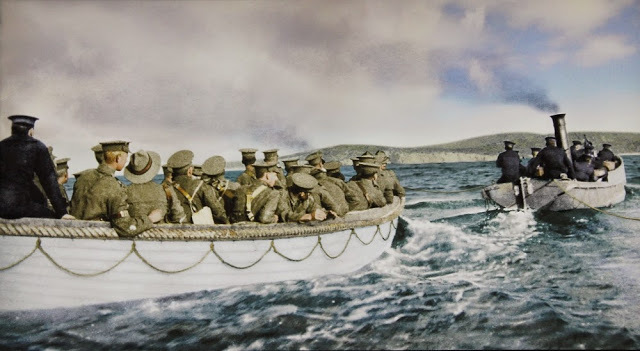 Today is the 103rd anniversary of the Allied landings at the Dardanelles. 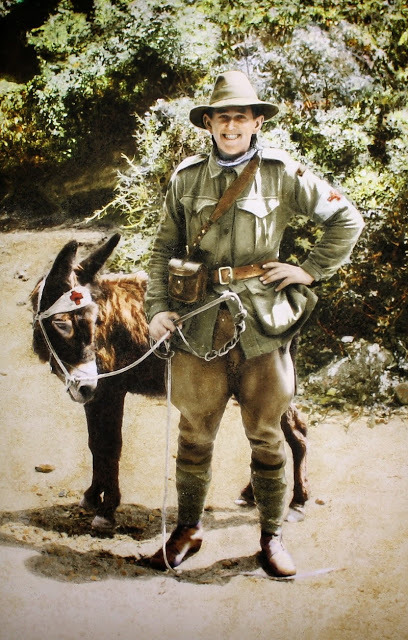 Private John Simpson Kirkpatrick and "Murphy"
On the walls around the Chunuk Bair diorama at The Great War Exhibition, there are two hundred colorized photos of the Gallipoli campaign. The Great War Exhibition is located at the Dominion Museum Building, Pukeahu National War Memorial Park, in Wellington, New Zealand. 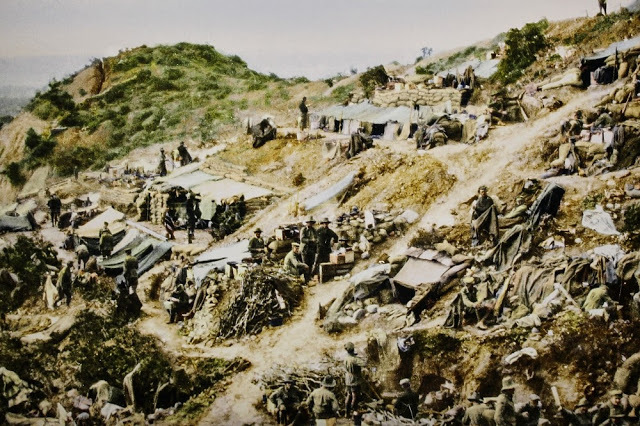 Sir Peter Jackson, who led the exhibit project, said seeing World War I photos in color removed a sort of "protective screen" between people of the past and the present. "Once you're in colour, that 100 years starts evaporating." Some images are haunting, some quirky, many just prosaic. "They're just normal guys. They're just like us." Who were our grandparents, or great-grandparents? Obviously most of us know very little about our great grandparents, but even our grandparents are largely a mystery. We know them as the doting older people that we see on holidays with a few stories they never get tired of telling, but rarely do we get much further insight. Stefan Hertmans seemed to have a similar experience. His own grandfather, Urbain Martien, was a former Belgian soldier who used to tell stories that Stefan never much paid close attention to. 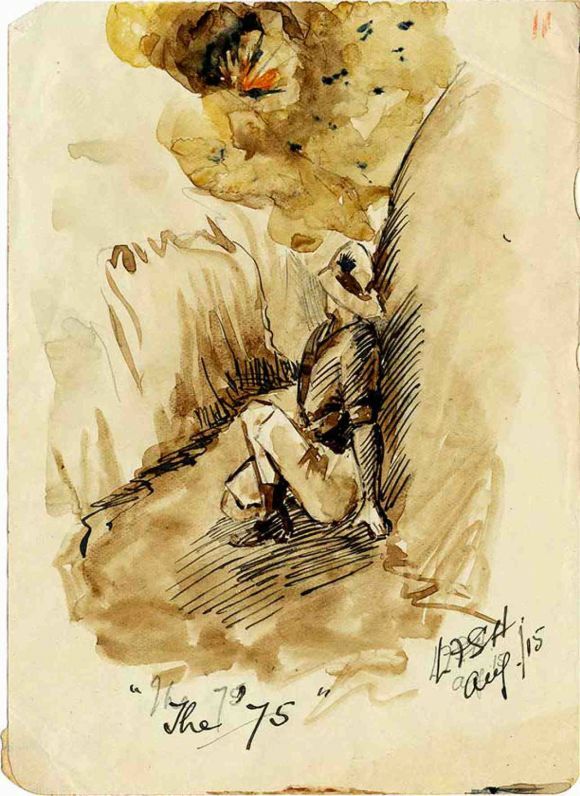 During the last 17 years of his life, Urbain attempted to write down all the memories of his early days up until the end of the Great War. He then gave these notebooks, 600 pages in total, to his grandson, hoping that Stefan (as the young writer in the family) would know what to do with them. For 30 years, Hertmans avoided reading these, as he had a feeling he wasn't ready, but then with the approaching centennial, he finally devoured them. Hertmans then took these notes and crafted a book that is equally biography, memoir, historical novel, and tragedy. Much of the text is written in a free-flowing, esoteric style that may be off-putting to some readers. However, I was spellbound from the opening page. Hertmans dives in between various timelines: his own childhood with his grandfather; Urbain as a child growing up; and Hertmans himself as a middle aged man trying to find the places discussed in his grandfather's notebooks. I could not hope to try to explain all the narrative threads that are woven back and forth. However, the text mostly divides into three parts: Urbain's early years leading up to the war, his time in service, and his postwar life. The first section begins with the young Urbain as he tells the story of his childhood in Ghent. His father was a local painter, who mostly created frescoes for local churches but was always poor and usually in ill health from the lead in his paints. His mother, who had come from means but had fallen in love with the poor painter, made clothes as a way to keep the family afloat. As Urbain got a little older, he went to work in a local foundry, where he miraculously escaped death himself—but saw it. Despite these early years having a darkness to them with the constant poverty and bleakness, the tale is at the same time a wistful love letter to a more innocent time. The middle section involves Urbain's military service in World War One. In this section, Hertmans writes from the perspective of Urbain himself (whether he copied Urbain word for word as he seems to claim, or made the style more novel-like, is something probably only he knows). Urbain is immediately called up and sent to fight the German steamroller which is crushing all resistance. The first few chapters of this section, including the Battle of the Yser, gave me, possibly for the first time, a real taste of the overwhelming superiority that Germans seemingly had as they marched west in the opening months of the conflict. The German attack was like a blitzkrieg. Less than an hour later, we saw a moving wall of metal, smoke, and gunfire rise ahead of us; their numbers were overwhelming, and they approached with a dull rumble that seemed to herald the last judgment. It's one thing to read about it in more academic work, but to the man on the ground, the Belgian cause really seemed hopeless. As the front stabilized, and Urbain was wounded time after time and sent away to recuperate again and again, the section loses its sense of time after a while. It's all one long nightmare. Months, and even years, lose meaning. On other parts of the front battles happen. They hear about offensives nearby, but where Urbain is, both sides take shots at one another, with no large-scale battles occurring. Amazingly, even as the end game of the war played out elsewhere, Urbain didn't seem to be involved in any last pitch battles, and his war ended with mostly a whimper. The final section of the book sees Urbain coming home from the war and falling in love with a local girl. However, his fiancée dies shortly thereafter in another wave of the Spanish Flu and he marries her older sister instead. And so the sad noble life of Urbain Martien continues. Hertmans looks for clues in these stories to illuminate mysteries that he saw fragments of later in life, and many of the revelations are simply heartbreaking. I promise you, if you don't feel Hertman's overriding guilt regarding a pocket watch gift, you have a heart of stone. I was nearly moved to tears multiple times throughout. This is perhaps the hardest book review I've ever attempted to write. I really cannot do this work justice. It's not a "normal" war book, but it's profoundly moving and elegant in a way that is hard to quantify. If you are somewhat younger (I am in my late thirties) go seek out someone in their later years, someone who knows what kind of life they have led. This book is a monument dedicated forever to the memory of Urbain Martien, soldier, grandfather, painter, dutiful husband. I never would have heard of this book if not for Consul General Henri Vantieghem of Belgium, who gave it to me as a gift at an event I helped produce last year. I will always be grateful to him, for this is one of the most beautiful stories I have ever read. 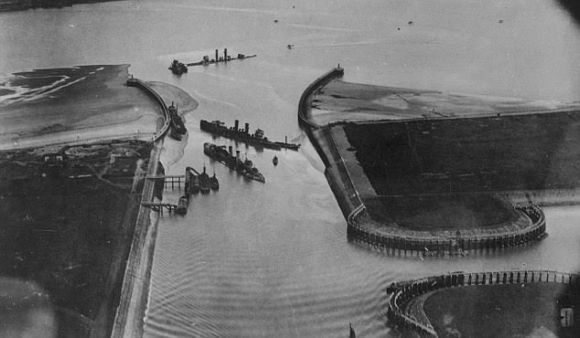 Zeebrugge on the Belgian coastline was an outlet for German U-boats and destroyers based up the canal at Bruges, and the British planned to sink three old cruisers Iphegenia, Intrepid, and Thetis, in the channel to block it. These would have to pass a long harbor mole (a causeway or pier) with a battery at the end, before they were scuttled. It was decided therefore to storm the mole using another old cruiser, HMS Vindictive, and two Mersey ferries, Daffodil and Iris II, modified as assault vessels. Two old submarines were to be used as explosive charges, under the viaduct connecting the mole to the shore. The attack went in on the night of 22–23 April, under the command of Commodore Roger Keyes. Vindictive was heavily hit on the approach and came alongside in the wrong place. 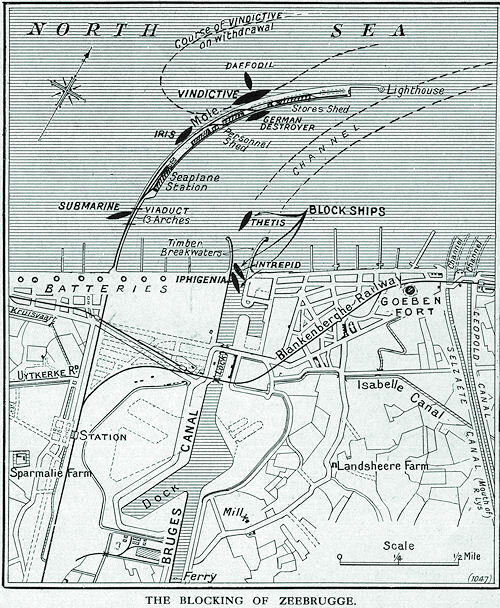 Despite much bravery by the landing party, the battery remained in action. 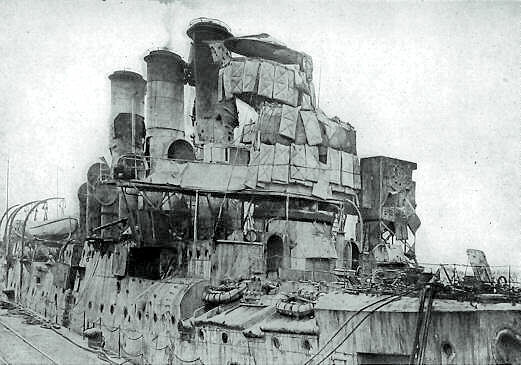 One submarine did succeed in blowing up the viaduct, but the first blockship was badly hit and forced to ground before reaching the canal entrance. Only two (Ipheginia and Intrepid) were sunk in place. Much was made of the raid. Keyes was knighted, and 11 Victoria Crosses were awarded. The Germans, however, made a new channel round the two ships, and within two days their submarines were able to transit Zeebrugge. Destroyers were able to do so by mid-May. Despite its uniform-like military style that can remind one of the horrors of the Great War where it originated, the trench coat remains a popular, influential, and even symbolic item of apparel. 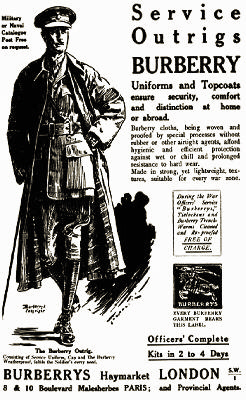 It was adapted from an earlier design by the famous British designer, Thomas Burberry, to keep British military officers dry and warm in the trenches. He had previously patented a very tight weave of cotton gabardine using long fiber Egyptian cotton that was then treated with a chemical to withstand water. The diagonal weave also cut surface tension to further repel water. This fabric was extremely strong and did not tear easily, adding to its desirability for military wear. A gabardine coat from Burberry was worn by high-ranking generals during the turn-of-the-century Boer War in South Africa. 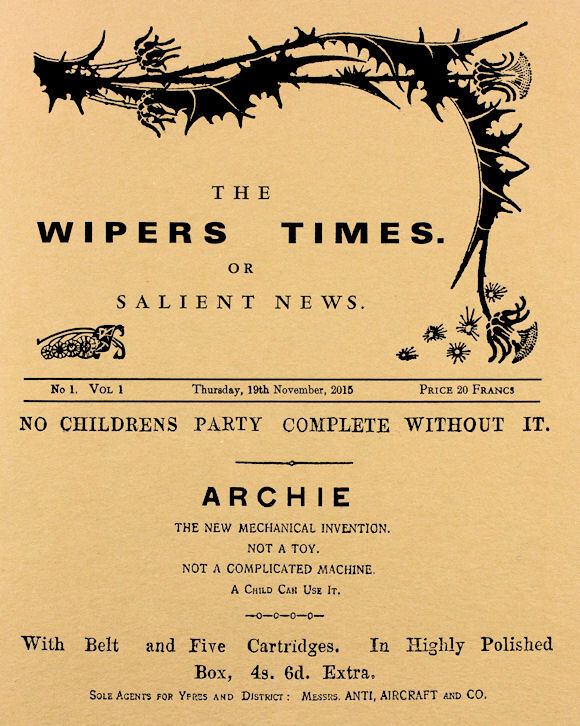 When the Great War came, the British War Board authorized an updated version for the army's combat officers. British officers embraced the coat immediately, and its popularity spread to the Yanks when America joined the war. 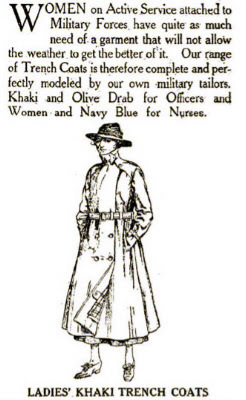 In Stars and Stripes an advertisement even appeared in 1918 for trench coats for women, made in America for the Donut Dollies, Hello Girls, and nurses. Burberry's new design, like military uniforms, featured epaulets (shoulder straps), a buckled belt with D-rings, and was double-breasted. A storm or gun flap on the right shoulder kept water from running inside when the officer raised a weapon. Cuff straps made the sleeves a tighter fit when needed or could hold a map. A rumor circulated that these or the D-rings were for carrying hand grenades, but most agree that that would not have been a safe practice. 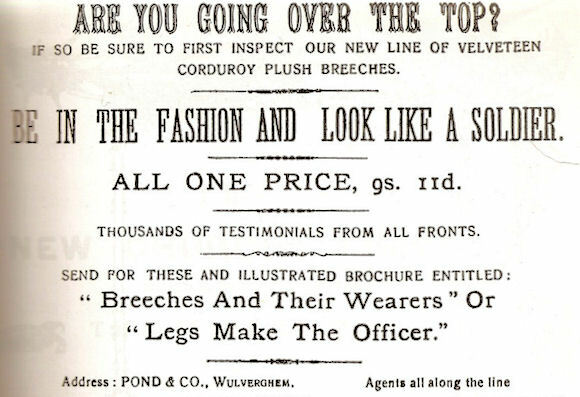 Formerly, long ankle-length coats called great coats were also issued, but the trench coat was made shorter so as not to drag in the mud and water that prevailed in the trenches. The coat was excellent in cold weather with a woolen insert and also served as an emergency sleeping system. 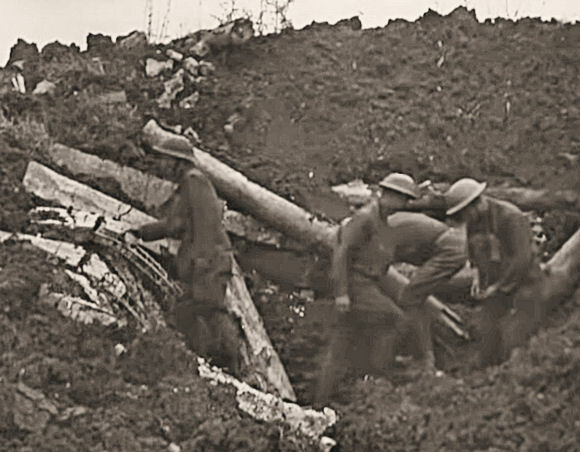 The trench coat quickly earned a high reputation for the protection and mobility it provided to the men fighting in the front lines. In World War II, the trench coat was issued in even greater numbers as part of the uniform to Americans, British, and Russians. Today the trench coat still serves in the world's militaries as weather protection for dress uniforms. The trench coat has never faltered in its popularity for both men and women in civilian fashion. 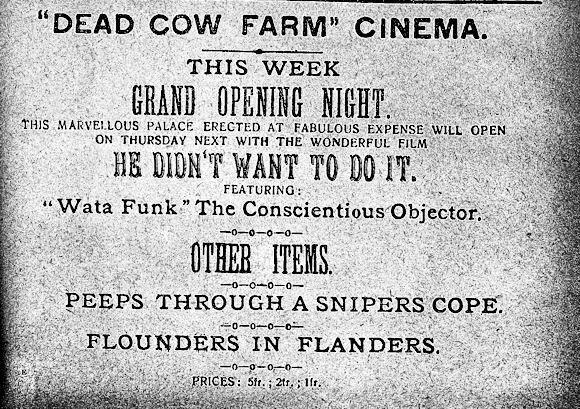 Hollywood helped boost its appeal. In movies after the war, the trench coat symbolized mystery and adventure—it was the attire of secret agents and private detectives. 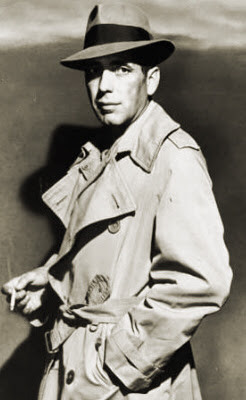 Who can forget Humphrey Bogart in his trench coat in Casablanca or The Maltese Falcon, or Alan Ladd in This Gun For Hire? For women as well, the wearing of the trench coat signifies allure and danger—recall Marlene Dietrich, Ingrid Berman, and Joan Crawford in their great roles. The classic Burberry trench coat is still available today for about $2,000. Newer versions that are lighter and more flexible of microfiber and modern fabrics range from $200 to $500. London Fog still sells a classic double-breasted style with wide collars and button cuffs, but it no longer has the shoulder epaulets. Sgt. Matej Kocak (1882–1918) was born in Gbely, Slovakia (then part of the Kingdom of Hungary). He emigrated to America in 1906 and enlisted in the Marine Corps the following year. He served with the U.S. Marine Corps at Vera Cruz, Mexico, in 1914, followed by New Orleans, LA, and then Santo Domingo, Dominican Republic. In 1917 he returned to the United States, where he joined the 12th Company at Quantico, VA. By December of that year he was in St. Nazaire, France, with the 5th Marines of the U.S. 2nd Division. 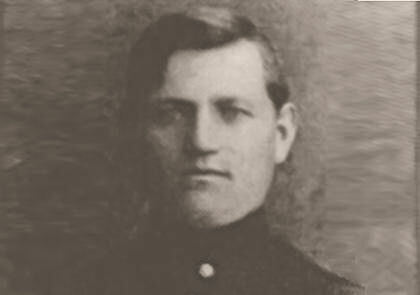 In January 1918 he was promoted to sergeant. 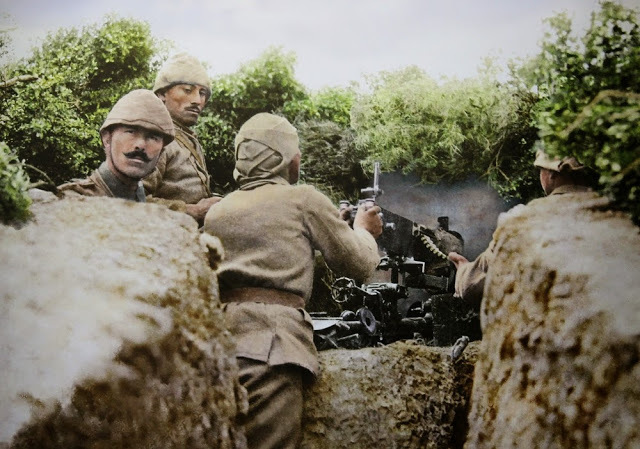 When a machine gun nest halted the advance of Kocak’s battalion in the Battle of Soissons, he went forward alone and unprotected to rush the enemy position. With only his bayonet, Kocak drove off the enemy. 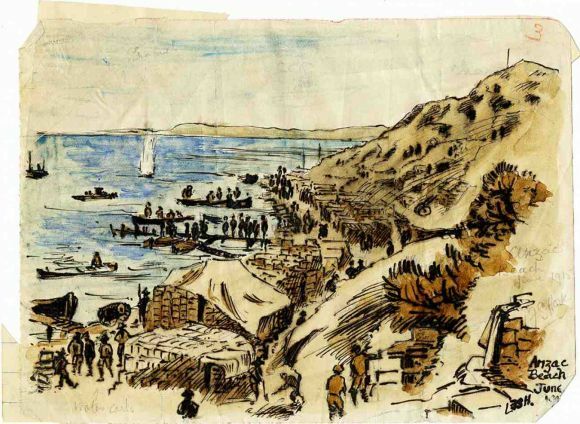 Later that day, Kocak organized French colonial soldiers who had become separated from their company. He led them in an attack of another machine gun nest. He survived the Battle of Soissons, and participated in the Meuse-Argonne Offensive. He was killed in action at the Battle of Blanc Mont Ridge on 4 October 1918. 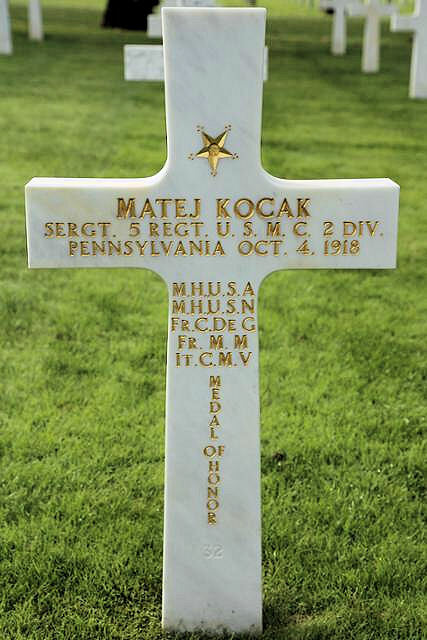 For his actions at the Battle of Soissons, Kocak was posthumously awarded the Medal of Honor by both the U.S. Navy and the U.S. Army. He is buried at the U.S. Meuse-Argonne Cemetery, Plot D, Row 41, Grave 32. A prepositioned ship of the U.S. Navy Sealift Command today bears his name. On 20 April 1918, the 26th “Yankee” Division fought a short but intense engagement with German forces at the village of Seicheprey in the Woëvre Plain of the Lorraine region of France. Positioned 12 miles east of St. Mihiel, Seicheprey was in a quiet sector of the front in early 1918, and the Yankee Division had recently arrived in the area. 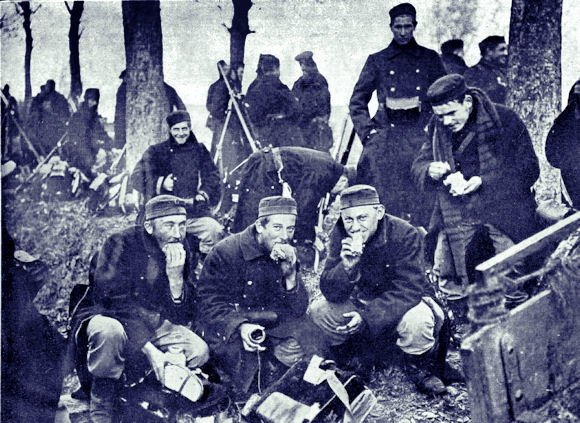 The brunt of the attack fell on the division's 102nd Infantry Regiment, composed mainly of men from Connecticut. Both sides suffered serious casualties in the one-day action. The German division that launched the effort reported 82 of their men killed and missing, 263 wounded, and 16 men suffering other injuries. Their casualty total came to 361. On the American side, an accounting of losses listed 58 killed, 145 wounded, and 231 missing, for a total of 434 U.S. casualties. 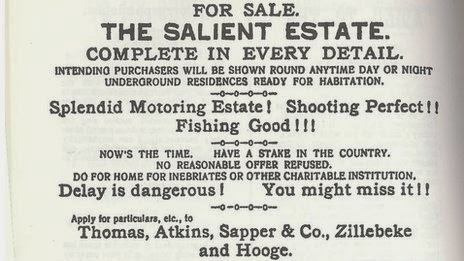 Seicheprey remains an unknown event for most present-day World War I students. Ironically, it became well known throughout the American Expeditionary Force that fought the war. The extremely well-planned combined arms operation with fast-moving infantry, massive firepower of Minenwerfer and artillery, complemented by aviation, which provided decisive targeting on enemy positions as well as extensive harassment of the enemy from above, gave purpose to modern tactics of 20th-century warfare. These tactics would culminate on the battlefields of Poland, Belgium, and France with the fast battle operations of Blitzkrieg. Equally significant was the Germans’ attention to detail in neutralizing and decapitating their enemy’s ability to plan and execute an operation. Employed were all avenues of modern-day intelligence, including aerial reconnaissance, wiretapping, espionage, and infiltration as well as the annihilation of critical communication lines by decisive artillery strikes and sabotage. Seicheprey was more than a raid across No-Man’s-Land. It was a definitive example of an INFORMATION WAR that governs the way nations struggle in a 21st-century battlefield environment. German combatants and staff summed up the soldiers battle in an eloquent way. “American resistance in front of the main line of resistance, in the main line of resistance and in the supporting positions in front of the village of Seicheprey, was stubborn. Every man had to be overpowered individually. The light machine guns of the Americans fired up to the last moment. Since the troops occupying the village did not want to come out of their dugouts but defended the entrances, individual combats, man against man, took place.” The final report from the German chief of staff in the region emphasized in all capitals to senior commanders: NOT ONE AMERICAN SURRENDERED WITHOUT A FIGHT. Seicheprey taught the U.S. Army that the total modern combat environment put everyone within range at serious risk. All combatants came to terms with the incessant destruction provided by never ending artillery, machine guns, and the relentless sniper. The appalling volume of shellfire at the front defined kinetic kill at its worse. The Seicheprey affair was sobering because the French practice of sacrifice positions—a procedure imposed on American military thinking by the French tactical command—was adhered to within the Woëvre. What worked was the demonstrated tenacity of the individual American showing incredible courage and in many cases fighting to the death. This was what resonated with the German commanders. They now faced a fresh enemy with purpose. There is a ballet that will forever be associated with the Great War. It was not set on a battlefield, but it was certainly a premonition of the unbridled violence soon to come. 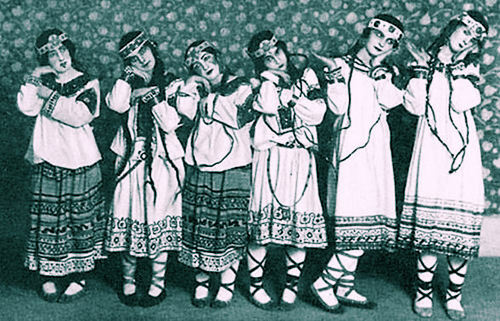 On 29 May 1913 the ballet "The Rite of Spring" (Le Sacre du Printemps), premiered in Paris. It caused a riot. 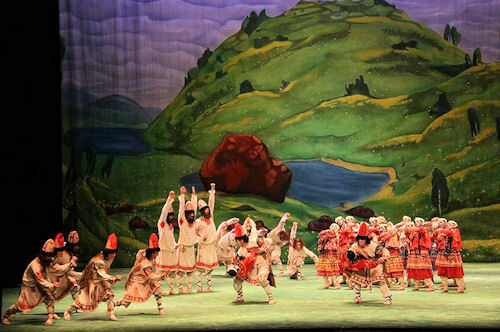 Igor Stravinsky's ballet, choreographed by Vaslav Nijinsky, is set in pagan Russian times; the rite of spring is the ritual sacrifice of a maiden (The Chosen One) to ensure successful crops. The music, choreography, costumes, and staging were unlike anything ever seen before: discordant, irregular, and wild. At least 40 attendees were taken away by the police. The premiere soon came to be seen as a cultural fracture point—evidenced by the breaking of the fourth wall, the lack of familiar music and dance structure, the public release of wild, even violent emotion, the display of ritual violence on stage, and the breakdown of established norms of behavior. 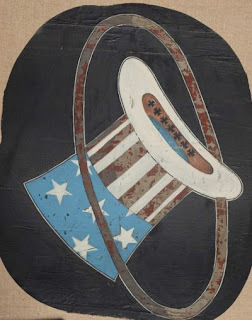 Symbolically, it came to represent or foreshadow the unrestrained horrors of the Great War and the sweeping social and cultural changes that followed it. In 1934 the past presidents of the American Legion Auxiliary in North Dakota voted to undertake a project that was truly one for the ages. They asked their county units to ascertain the identities of all the women from the state who served their country during the First World War and to collect statements of service from each. In some cases they received lengthy and engaging accounts, with quotes taken from personal diaries (most of which are probably now lost). In some instances the response was short; the entire overseas service might be covered in a couple of sentences. Many of the responses were written by third parties, usually family members but sometimes fellow nurses. In a prescient move, at the conclusion of the project all of the responses were saved in the state archives at Bismarck. In all, there were 271 respondents, of which 225 had served as nurses. The average age of these was 29, and 24 percent were foreign-born. 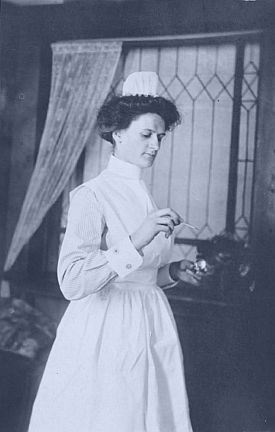 The average term of service for the Army nurses was about a year. Five nurses died while in service, all from disease, three of them in France. Dr. Holmes selected material from 129 of the nurse respondents for inclusion in North Dakota Nurses Over There. Sixty-two of these nurses went overseas, 48 percent of the sample. Most of them served in the U.S. Army, a few in the Navy, but there were also some who served with the Red Cross. 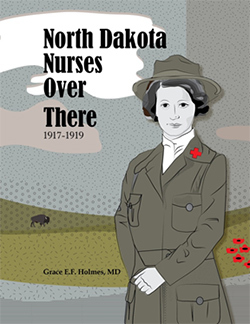 Several nurses were seconded to British hospitals and others served with North Dakota's Base Hospital No. 60, organized by Dr. Eric Quain, a surgeon at Evangelical Hospital in Bismarck, which was a remarkable accomplishment for a community of only 6,000 persons. There are accounts of hard work and devotion to duty, of suffering, shortages, overcrowding, wading through mud, night bombing raids, never-ending streams of patients, bad wounds, and surprising recoveries. There were life-changing experiences. They met colleagues and patients from many nations that they would never visit. They described their efforts to raise morale, fondly remembering holiday celebrations, and the deaths of the hopeless cases. There were the long days and longer nights of the influenza pandemic, when so many were needed for duty at home, where they served at military hospitals in at least 14 states, and some were seconded to civilian hospitals as well. Several recounted their own battle with the disease, in some cases lingering for months due to complications. There are stories of selflessness and great human drama, including nurses who went on to serve with the Red Cross in the Polish-Bolshevik War and the Greco-Turkish War. There are stories of great adventures. Many described their ocean crossings in detail. These small-town women were dazzled by New York, London, and Paris. After the Armistice, many visited the old trench lines, and there is an engrossing account of nurses being trapped by German barbed wire. There are stories of loss and consolation, including lengthy accounts of the deaths of Sabra R. Hardy (1891–1918) of Base Hospital No. 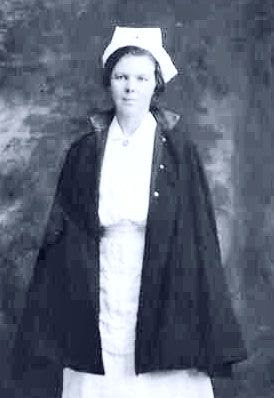 54, from Mercer County and Nora E. Anderson (1881–1919) of Base Hospital No. 68, from Grand Forks (photos above). Remember that the war had ended the last great Romantic Age, an era when people were religious, nostalgic, and melodramatic. Notwithstanding, even to a modern reader these accounts are poignant. The book is well edited, topically organized, and an easy read, although sometimes repetitive. I finished it in two afternoons. Dr. Holmes has given us a remarkable glimpse at the service of these strong and dedicated women, all of them volunteers, and a good source of facts, firsthand accounts and insights, looking back from a 15-year perspective. "Kriegsausbruch 1914", a short piece that Jünger first published in 1934, gives a highly subjective account of his own experience of August 1914, colored, of course, by the experience of 20 intervening years. Jünger describes how he and two workers were working on the roof of the family house, with the magnificent Lower Saxon countryside spread out around them, when the postman passed by and informed them that mobilization had been ordered. In Jünger's reconstruction of the passions of 1914, he decided almost immediately to volunteer...In this text, the outbreak of war, the presence of the Lower Saxon countryside symbolizing Germany, and the overcoming of social divisions when all three went on to celebrate in the local pub combine to produce an idealized memory of August 1914. 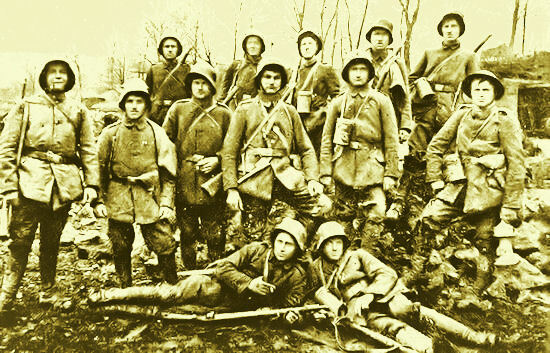 Jünger volunteers at the outbreak of the war. He takes a Notabitur [early examination to gain release for service] and matriculates at Heidelberg University before undertaking basic training from October until December, when his recruit company joins the Füsilier-Regiment 73 at the Champagne front. 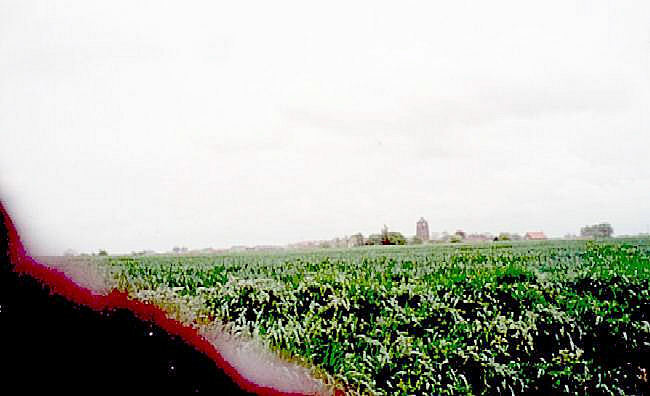 Jünger's unit remains in position around the area of Bazancourt. February and March are spent on a training course in Recouvrence. In April the regiment is deployed to Lorraine and Jünger is wounded for the first time at Les Éparges. Jünger recovers and spends the summer at an officers' training course at Döberitz, returning to the regiment as Fähnrich (ensign). There then follows an extended period [of positional war] round Douchy and Monchy in the Artois region. At the end of November he is promoted to lieutenant. The Stellungskampf in Artois continues. In April Jünger attends another training course, returning to the front in June, where the regiment comes under increasing pressure in the buildup to the Somme offensive. In heavy fighting around Guillemont he is again wounded and evacuated, while his unit suffers almost total casualties. He returns to the front in November and is assigned to Divisional Intelligence as a reconnaissance officer and is wounded again near St. Pierre Vaast. 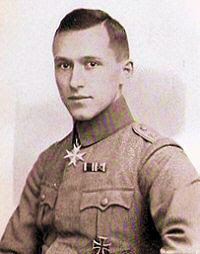 He is awarded the Iron Cross, 1st Class. He returns to the regiment and again becomes a reconnaissance officer. Jünger spends January on a company commanders course. From now on, Jünger is frequently appointed company commander of various companies within the regiment. In March he commands a patrol covering the German retreat from the Somme. At Fresnoy he commands an observation post. In May the regiment takes up positions on the Siegfried Line. 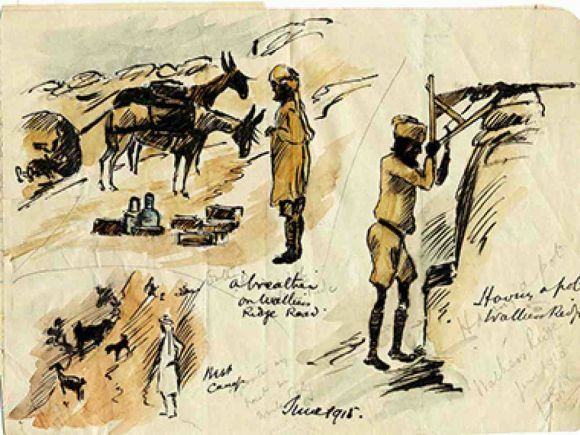 In June a forward standing patrol commanded by Jünger has a violent encounter with British/Indian fighting patrols. 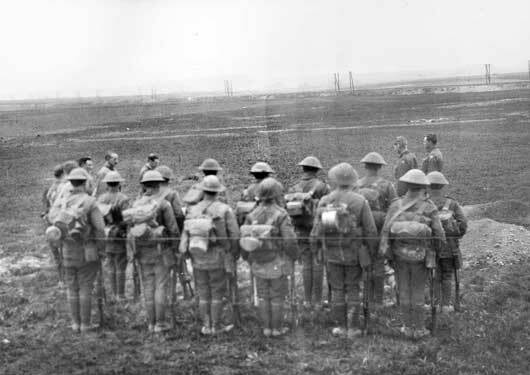 The regiment then moves to Cambrai for training. Jünger is involved in training a Sturmtrupp. 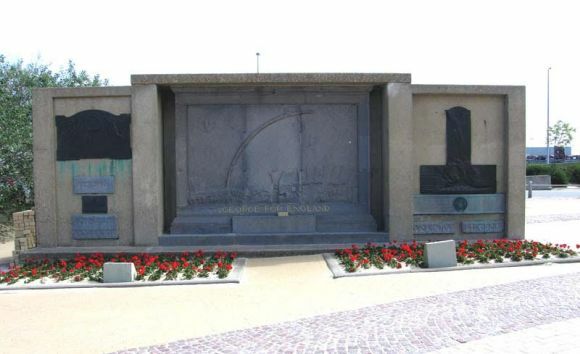 In late July the Regiment moves to Flanders and Jünger takes part in fighting round Langemarck, playing an important role in the defence of the Steenbach. In September he leads a fighting patrol against the French trenches at Regniéville, which ends disastrously. October sees him in Flanders again in the area around Passchendaele, once more as a reconnaissance officer. In late November the regiment is involved in the successful counterattack against the British tank offensive at Cambrai. This involves intensive trench fighting in the course of which Jünger is wounded and subsequently awarded the Ritterkreuz des Hausordens von Hohenzollern. January, February, and March are spent in preparation for Ludendorff's MICHAEL offensive. Jünger's company takes a direct hit from a shell in the last stages of the move forward. Jünger takes part in an attack on a Scottish position by Écoust [closer to Vaulx] and is hit twice. He rejoins the regiment in June in an exposed position around Puisieux-le-Mont, fighting British advances against the odds. In August, the regiment undertakes a desperate counteroffensive near Cambrai. 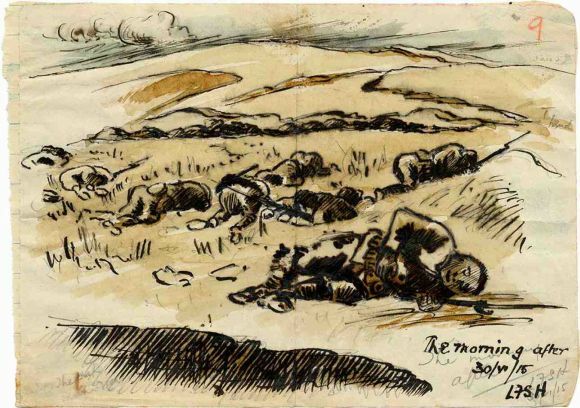 Jünger is badly wounded but continues fighting and, despite being surrounded, manages to evade capture, a feat for which he was awarded the Pour le Mérite. The remainder of the war is spent in a military hospital. The above represents a summary of Jünger's war service based on In Stahlgewittern and is essentially an account of Jünger's service with the 73rd Füsilier Regiment, mapping neatly with independent accounts given in the two available regimental histories. What is particularly striking is that he served exclusively on the Western Front and that he saw action in the most intense battles of the war-—on the Somme, at Cambrai, at 3rd Ypres and the MICHAELoffensive of March 1918. In other words, he was involved in those battles which saw the highest casualties and the highest concentrations of firepower and thus also inflicted the greatest sense of anti-modern absurdity, chaos, and ambivalence. From: Writing and Rewriting the First World War: Ernst Jünger and the Crisis of the Conservative Imagination, 1914–25, Thesis Submitted for the Degree of Doctor of Philosophy. John King, St. John's College, Trinity University, 1999. George E. Creel was a journalist, politician, and author. 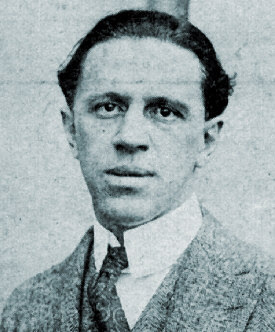 His most famous role was as chairman of the Committee on Public Information during World War I, Creel sought to influence public opinion and gain support at home and abroad for the war effort. George Creel was born on 1 December 1876, in Lafayette County, Missouri. He was the second of three sons born to Henry and Virginia Fackler Creel. The privileged son of southern slave owners, Henry Creel was unable to adapt to life as a farmer after the Civil War. He squandered his inheritance on failed attempts at farming and became an alcoholic. Virginia Creel ran a boardinghouse in Kansas City to support the family, but after it failed the Creels moved to Odessa, Missouri. Even though he did not finish high school, Creel joined the Kansas City World as a reporter in 1898. He was later fired for refusing to write a story that would publicly embarrass a prominent businessman after the man’s daughter eloped with a family employee. 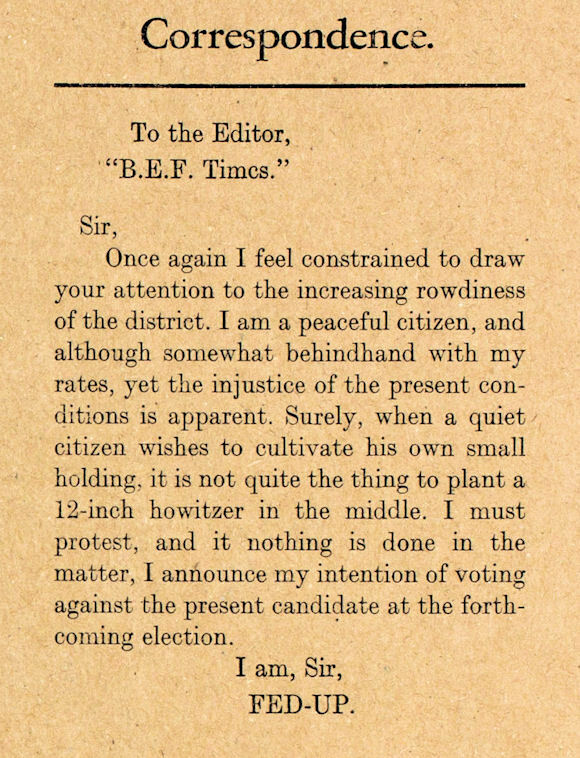 Creel briefly moved to New York City but returned to Kansas City when his friend Arthur Grissom suggested they publish their own paper, the Independent. Shortly after the paper launched in 1899, Grissom left and Creel became sole editor and publisher. 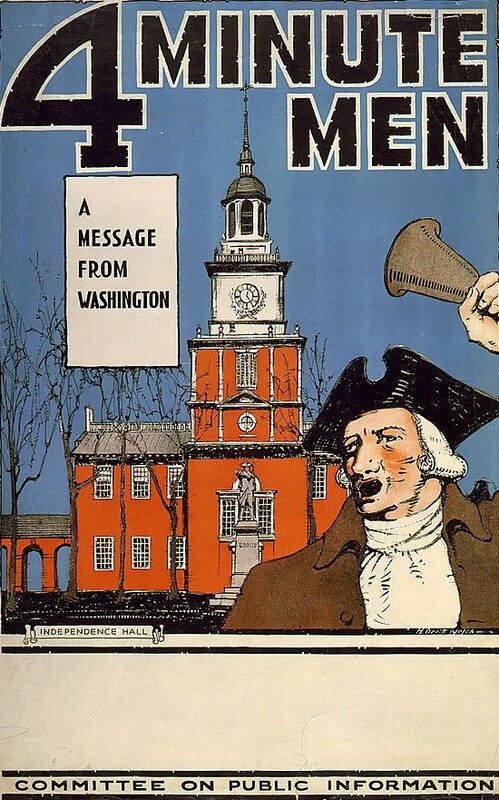 He used the Independent to promote political reform and the rights of women and labor. In 1909 Creel sold the Independent and moved to Denver, Colorado, where he worked for the Denver Post and later the Rocky Mountain News as an editorial writer. Just as he had in Kansas City, Creel pushed for reform in Denver. Mayor Henry J. Arnold appointed Creel city police commissioner, but Creel’s aggressive campaign to rid Denver of crime made many people upset and he was fired. In 1912 Creel married actress Blanche Bates and the couple had two children, George, Jr., and Frances. 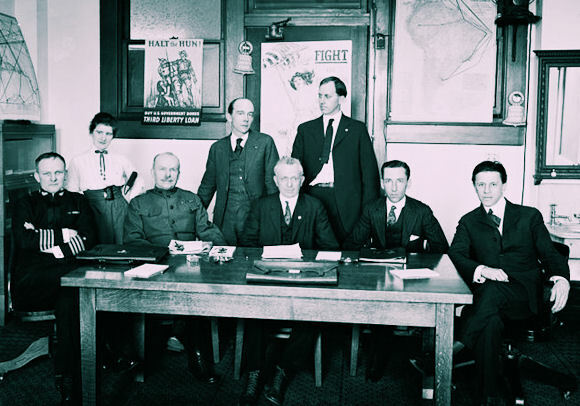 Five years later, when the United States entered World War I, President Woodrow Wilson asked Creel to serve as chairman of the Committee on Public Information (CPI), a temporary independent federal agency. The purpose of the CPI was to influence the American public’s views about the war through the use of propaganda in magazines, movies, newspapers, radio broadcasts, posters, press releases, and public speakers. By any measure, the output of the CPI was stupendous. Forty billion pieces of literature and art were produced. Creel claimed that his 75,000-man "Four Minute Men" speakers bureau delivered over 755,000 speeches to more than 314 million people. Creel and the CPI were criticized by journalists for releasing exaggerated accounts of events and for hiding bad or unflattering news about the war by censoring the press. 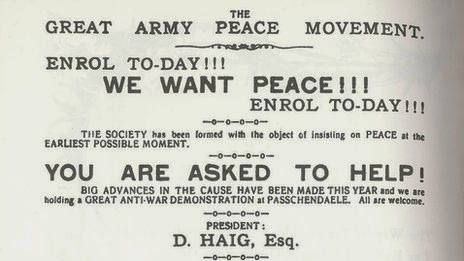 After World War I ended, the CPI was disbanded in 1919 and Creel returned to private life. He moved to California and wrote several books in the 1920s, including the story of the CPI in How We Advertised America. In 1934 Creel reentered politics with a failed run against author Upton Sinclair in the Democratic primary for California governor. The following year President Franklin D. Roosevelt appointed him chairman of the National Advisory Board for the Works Progress Administration (WPA). Creel also served as the U.S. commissioner for the 1939 Golden Gate International Exposition in San Francisco and helped Mexico establish its own Ministry of Public Information and Propaganda. After Blanche died in 1941, Creel married Alice May Rosseter. Creel continued to write books in retirement, including his memoir Rebel at Large: Recollections of Fifty Crowded Years. On 2 October 1953, he died in San Francisco, California. He is buried in Mount Washington Cemetery in Independence, Missouri. The first U.S. Air Service aerial victories by fighter planes in the American sector in France were by Lts. Alan Winslow and Douglas Campbell, two pilots of the 94th Aero Squadron, which had just been transferred to the front. On Sunday morning, 14 April 1918, they were on alert at Gengoult Aerodrome near Toul, France. 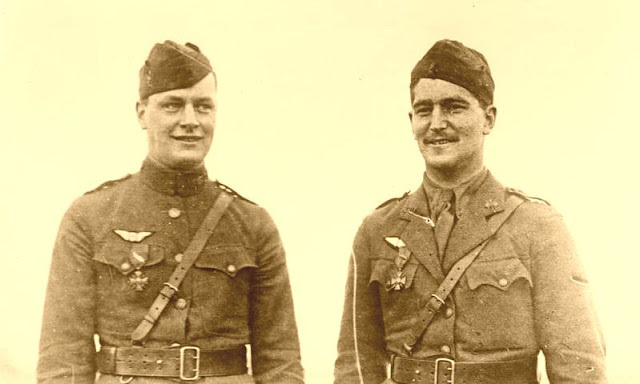 German planes were reported in the area and the two U.S. pilots, completely inexperienced in aerial combat, took off in their Nieuport 28s. Almost immediately they saw two German aircraft and attacked them directly over the flying field at less than 1,000 feet altitude, in full view of not only the Americans at Gengoult Aerodrome but also the French citizens of Toul. Winslow shot down an Albatross D.V and a minute later Campbell destroyed a Pfalz D.III. They were both back on the ground in a matter of minutes. This initial fighter combat by the U.S. Air Service, although probably successful due as much to luck as skill, convinced the French people that the Americans were "super-human." On 31 May 1918, Campbell became the first U.S.-trained pilot to receive official credit for his fifth victory, thus becoming an ace. Winslow was decorated for a later action but was shot down on 31 July, lost an arm and spent the remainder of the war as a POW. 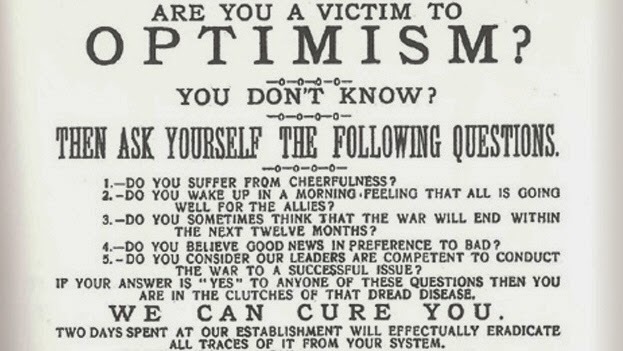 New Expanded Edition: Are You a Victim of Optimism? What Was the Liberty Loan Program?